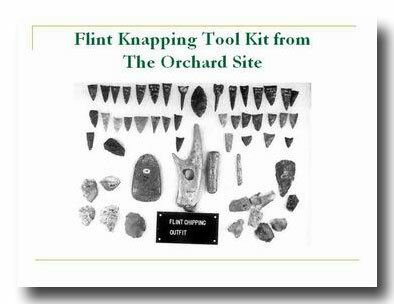 Flint knapping toolkit from the Orchard Site. Photograph courtesy of Roland Barnett. 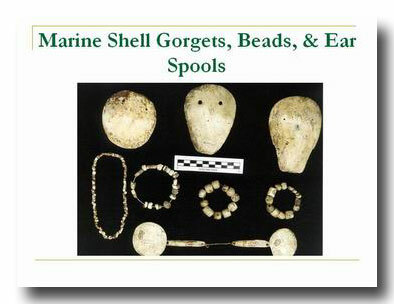 Marine shell gorgets, ear ornaments, and shell and bone beads from the Orchard Site. 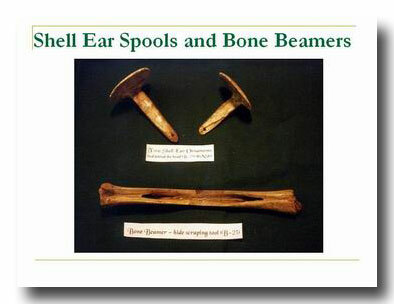 Marine shell ear ornaments and bone beamer (used to scrape animal hides) from the Orchard Site. 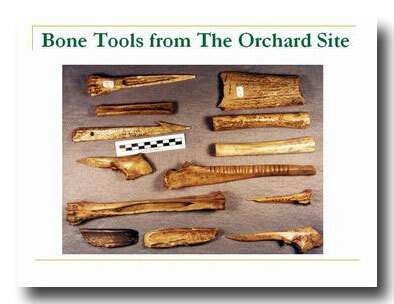 Assorted bone tools including awls, scrapers, a bone harpoon, and a bone rasp (musical instrument) from the Orchard Site.